Recall Leonardo da Vinci. He was a painter, architect, engineer, sculptor, designer of weaponry, made the first opera decors and much more. According to Floris Visser there is no difference between a scientist and an artist, but nowadays we just do not see the similarities anymore. 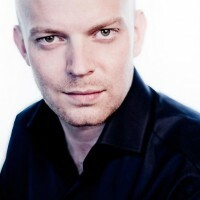 As a young Dutch director Floris Visser is particularly known for his opera productions. In response to his production of Handel’s Agrippina the press praised him as ’a most promising asset to the opera world.’ Visser was first educated as a director and actor at the Theatre Academy of Maastricht. Later he also studied classical singing at the Royal Conservatory of The Hague. In the fall of 2012 he is appointed Cultural Professor at Delft University of Technology. The opera is a great way to show the collaboration between art and technology. Together with students from the TU Delft, Visser is working on a new performance of the well-known opera ‘Carmen’. Carmen is famous, she is an icon. Desirable and dangerous at the same time. Some people are drawn to the opera, just as others are drawn to science. Visser wants students to realize this and get back to basics; the scientist is an artist.